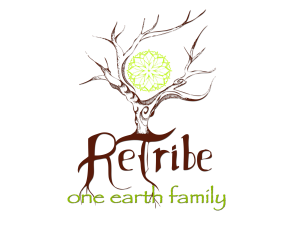 ReTribe’s mission is to support youth to become powerful, self-realized adults who, together, will foster a “New Culture” built on radical acceptance and connection to self, others, and the earth. We provides a wide range of programs that all help to guide youth and adults through the many transformations of life. Whether it be the small changes of childhood as our day campers learn to build fires, carve wood, and explore their imaginations in the woods, or the profound changes that the teens face on our Rites of Passage retreats as they find themselves, explore deep emotions, and experience the intensity of the Threshold experience – participants will come away from all our programs having grown and transformed, bringing them one step closer to the person that they hope to become. On our teen retreats we use a variety of unique methods to create a threshold experience. These methods include; The Adventure Game, Breathwork, trance dance, wilderness solo, and sweat lodge. What these processes all have in common is the ability to bring teens into a sacred space where they can experience new states of consciousness to open them up to deep healing and transformation. Inner Journeys: June 28-July 5, Adventure Game Theater: August 16-23, 2015. Our retreats all take place in the beautiful woods of Vermont.